Do you love plants and flowers as much as I do? Do you have a house full of houseplants like I do? They sort of multiply around here. 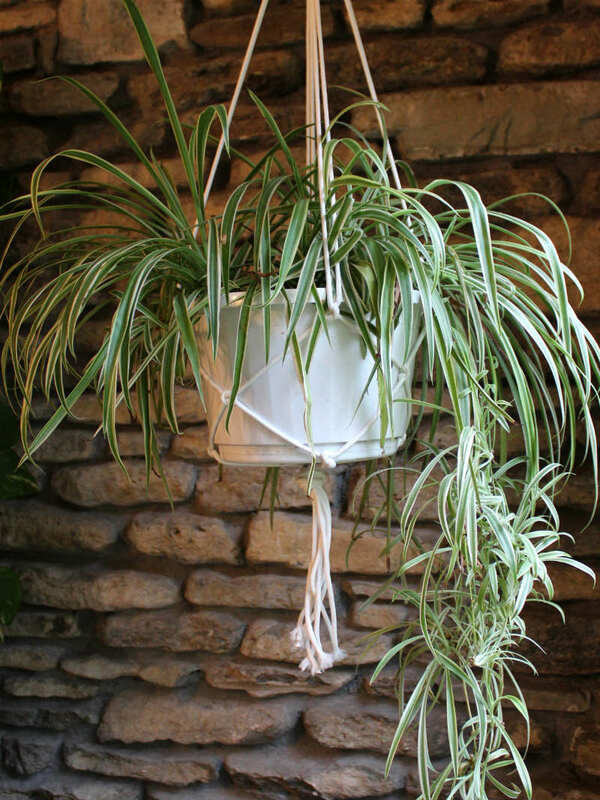 I’ve been busy making some simple macrame indoor plant hangers to get the plants off the floor. Don’t let the word ‘macrame’ scare you. These are not the macrame plant hangers from the ’70s. Those were way too involved! 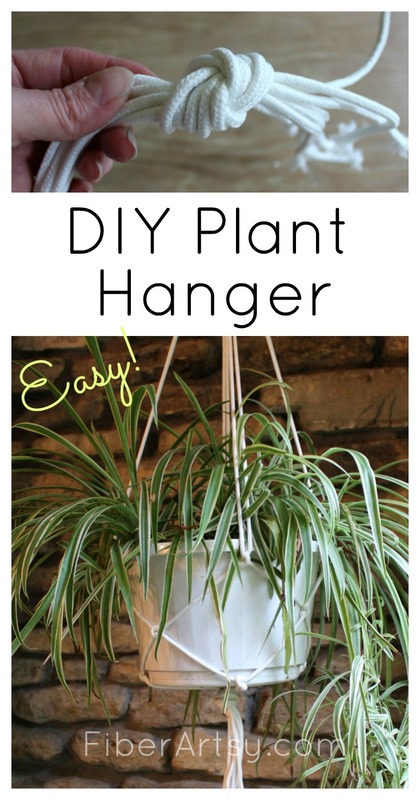 No, these are a super easy, quick (and cheap) way to make your own DIY Plant Hanger. Remember the hemp friendship bracelet craze from about 10 years ago? That was macrame so if you made friendship bracelets, this will be super easy for you. The only knot you need to know how to make is the ‘square knot’. First thing you need to do is to cut 8 pieces of rope, each 6 ft. long. This should leave you 2″ if you bought a 50 ft. rope. Mine was about 6″ short lol. 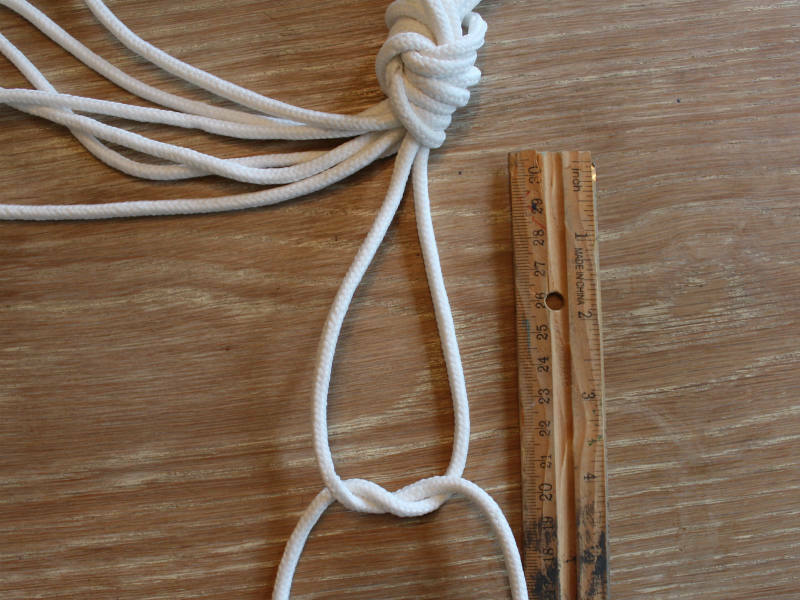 Match up the ends of all 8 sections of rope and tie a simple, overhand knot, leaving a few inches of rope hanging. This is the bottom of your rope ‘basket’. Now you need to separate the 8 separate strands into 4 pairs of 2 strands. Measure appr. 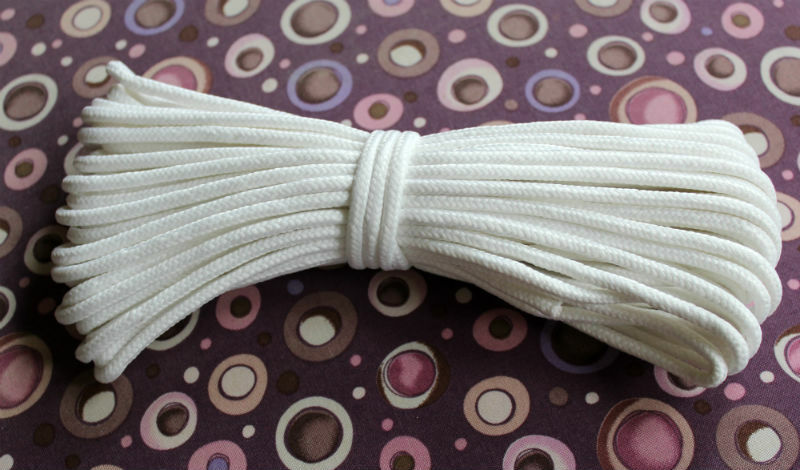 4″ down from the knot and tie each set of two strands into a square knot. 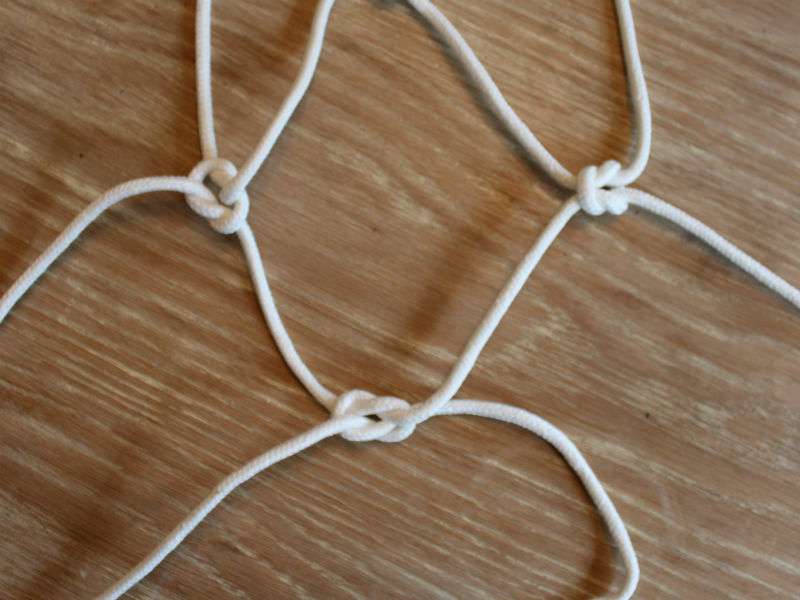 Square Knot: Begin by tying the two strands as you would tie your shoes. 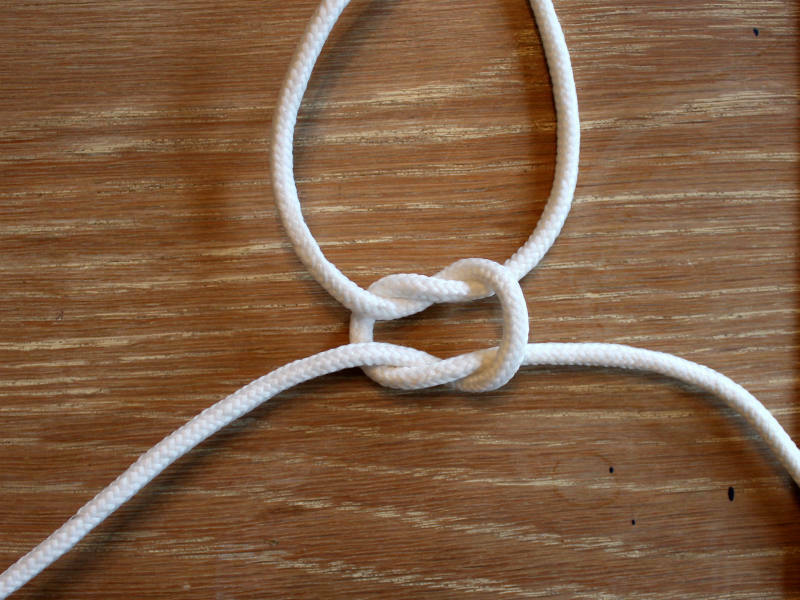 The second knot is the same only in reverse. This makes a flat knot which locks the strands and keeps them from untying. If the knot tries to twist and won’t lie flat, it’s backwards. 1. Cross the right rope over the left rope. 2. Wrap the right rope under the left rope. 3. Bring the right rope back over the left rope. 4. Bring the original right rope over the other rope. 5. Pull the original right rope under the other rope. 6. Pull on both ends to tighten the knot. 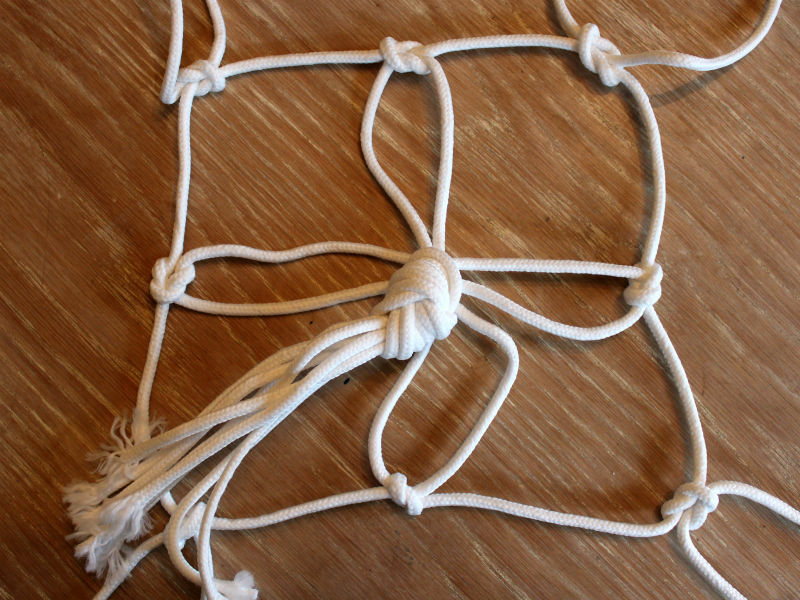 Repeat with all strands until you have 4 square knots, each appr. 4″ away from the center. Repeat all around until you have a second row of 4 additional square knots. Do the same thing for a third row of square knots. Tie one strand with one neighboring strand. 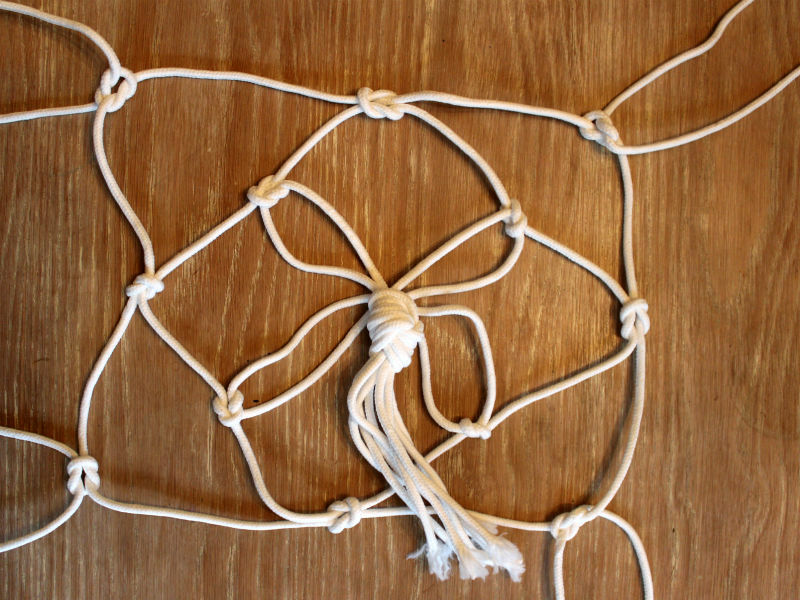 When you lay it down on the table, your rows of knots in the plant hanger will roughly be square. You should now have 3 rows of square knots (12 knots total), each row about 4″ apart. That’s it! 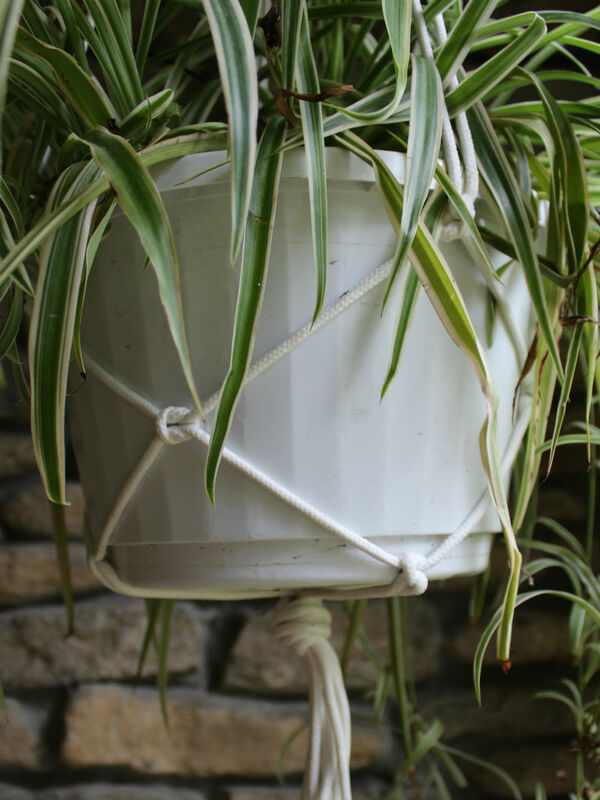 The basket part of your DIY plant hanger is complete. Gather up the 8 strands of rope. 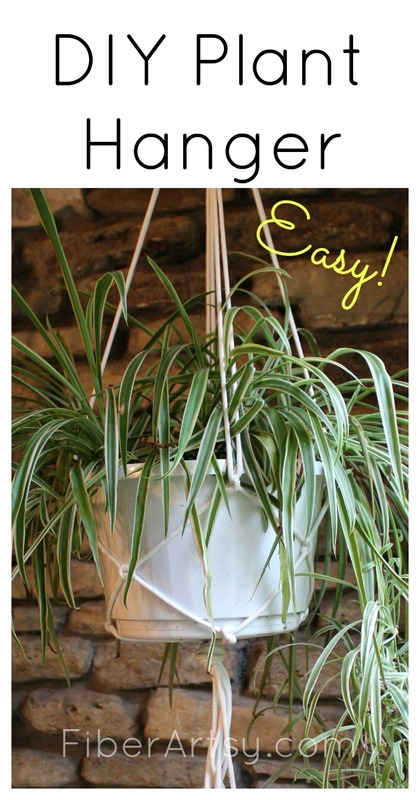 Set your flower pot into the center of the ‘basket’ and lift the hanger. 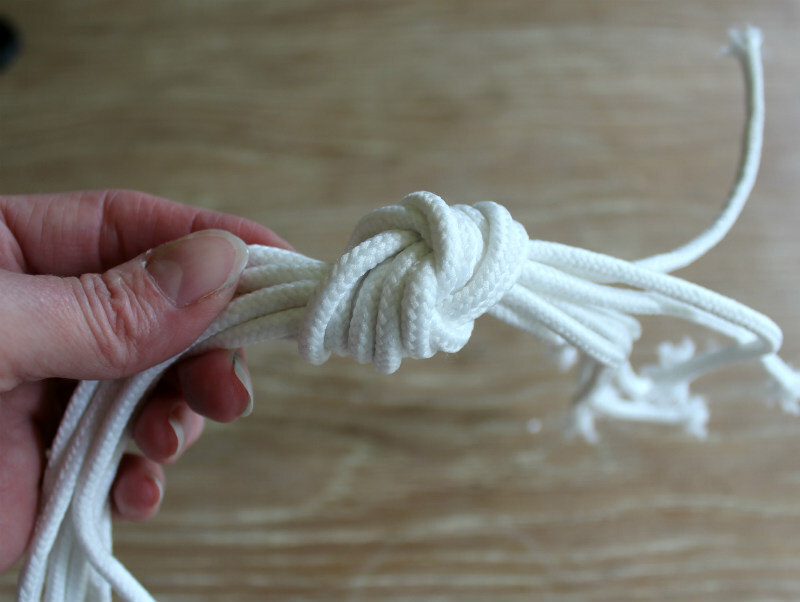 Tie the top of the ropes together into a simple overhand knot. That’s all there’s to it. 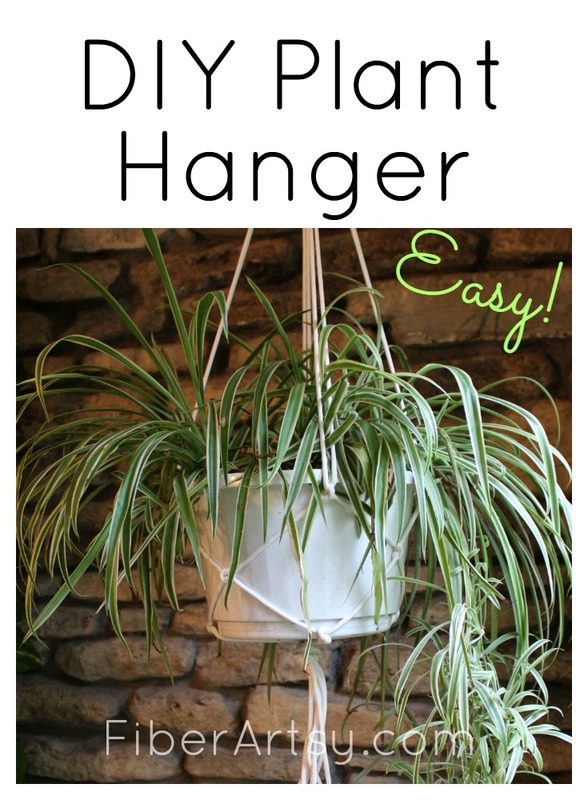 Hang your macrame plant hanger onto a hook in the ceiling or a bracket. You can also add big beads to make it more fun. So crafty! Thank you for this quick and easy idea!